The debut collection of 50 metre semi-custom designs from new yard Prime Megayachts features four diverse concepts that show off a wide range of ideas. The new brand was launched at Monaco Yacht Show 2016, bringing together the creative talents of Azure Naval Architects, Luiz DeBasto and Reymond Langton Design, while Jachtwerf Bloemsma, recently acquired by Balk Shipyard, will be the boatbuilder behind this new brand. Barin Cardenas, president of Prime Megayachts, said: "Prime is the first genuine semi-custom megayacht platform — virtually everything above the waterline is up to the buyer." Project Next is a prime example of this, with Azure Naval Architects prioritising the family experience in this bold superyacht concept. 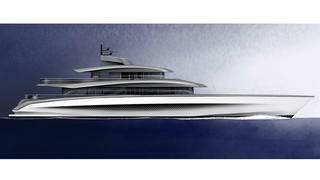 Bob van den Meiracker of Azure added: "We tried to create the area of a 70 metre yacht on a 50 metre platform." 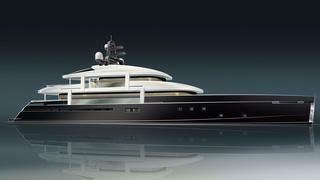 This project has already attracted a potential buyer, with Prime Megayachts revealing at Monaco that the letter of intent for hull number one has been signed. Furthermore, Burger Boat announced in November 2016 that it had signed on to become the project's official US build partner. The debut collection of 50 metre semi-custom designs from new yard Prime Megayachts features four diverse concepts that show off a wide range of ideas. The new brand was launched at Monaco Yacht Show 2016, bringing together the creative talents of Azure Naval Architects, Luiz DeBasto and Reymond Langton Design, while Jachtwerf Bloemsma, recently acquired by Balk Shipyard, will be the boatbuilder behind this new brand. Barin Cardenas, president of Prime Megayachts, said: "Prime is the first genuine semi-custom megayacht platform — virtually everything above the waterline is up to the buyer." Project Next is a prime example of this, with Azure Naval Architects prioritising the family experience in this bold superyacht concept. 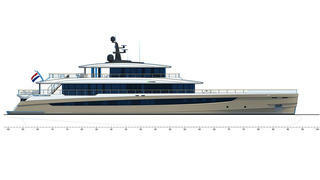 Bob van den Meiracker of Azure added: "We tried to create the area of a 70 metre yacht on a 50 metre platform." 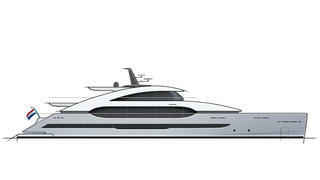 This project has already attracted a potential buyer, with Prime Megayachts revealing at Monaco that the letter of intent for hull number one has been signed. Furthermore, Burger Boat announced in November 2016 that it had signed on to become the project's official US build partner. Design duo Reymond Langton will provide the exterior and interior styling for Calou, which would feature extensive glazing in the superstructure. Andrew Langton added: "This concept was designed for owners who want a strong connection to the sea." Dream by Azure Naval Architects brings a sporty aesthetic to the Prime Megayachts range. Like all of the concepts in the collection, Dream measures 50 metres LOA and has a total interior volume of just under 500GT.